EFNC is pleased to announce the appointment of John Rich to the position of General Manager Football Operations. 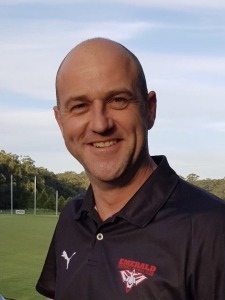 John comes with immense football knowledge having been involved for over 15 years as a level 2 coach, most recently at Cranbourne, he has also held roles as President, general committee and most other facets of club life. His passion for the game and drive to succeed is a very welcome addition to our club. John will play an integral part in our list management and general football program. EFNC is pleased to announce the appointment of Jamie Marshall as Head Coach of the Emerald Football Netball Club. 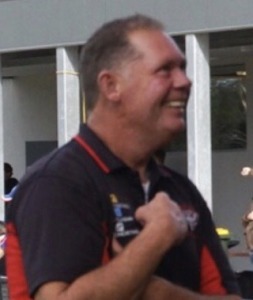 Jamie is well known locally for his success at the Emerald Junior Club bringing home 4 Premierships before furthering his coaching career at the Casey Demons (Melbourne Football Club Affiliate) after achieving his Level 2 coaching status. While at Casey he had the ultimate success again as the Assistant Coach for the Development Squad in 2017 after getting close and making finals in 2015 and 2016. This year saw Jamie move to a line coach for Casey’s VFLW Team to further his growth in all facet’s of the game. As a former Senior Captain of the EFNC after coming up from Hampton Park and Edithvale, having Jamie back at the club with his passion, drive and experience is a huge bonus. We are pleased to announce Paul Preston has been appointed as our Senior Assistant Coach for the 2019 Season. 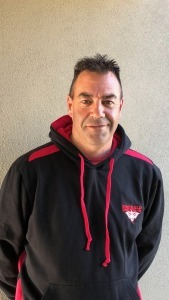 Paul is no stranger to the EFNC having had the role of Senior Coach during the 2016 Season plus numerous years of coaching U/18’s and some very successful Junior Teams. His passion for the club, the players and football is without question and will be an integral part of a new look Football Department. He shares the same passion as the new Head Coach, Jamie Marshall to get the most out of every player on our list and to build on our family culture.